In the last 20 years, Secure Networks ITC certified network specialists have planned, designed, and implemented a great number of office network solutions for small companies in San Diego County. Every project is deployed as a custom solution, tailored to fit business requirements and client’s budget, so they can have the first-class it network. We offer competitive prices and many benefits for managing your office computer network. To give our clients service they deserve, our network consulting and sales teams tuned two simple plans for network managed services; both ultra-focused not to jeopardize your budget. The main difference between Limited and Unlimited would be the number support hours included in the price of the plan. Unlimited plan is focused on ensuring that the cost of the maintenance will never exceed the price of the plan. The Limited plan is intendent for small offices with rather simple network. It will provide with proper maintenance and monitoring, but at the limited support hours. If that number exceeds the plan, you will be charged for the additional labor. Both plans come with regular maintenance intervals and periodical inspections, along with advanced monitoring to pinpoint the weak spots of your network. If you choose Unlimited plan there is no need to hire in-house IT guy. Why? Compare our plan and an average salary and benefits for network specialist with the same years of experience as Secure Networks ITC specialists (15 years or more). Now calculate savings for one year alone! Plus, our team has several network specialists on different levels, junior and seniors. Hire US for a lot less money and have the whole team of network specialists and field technicians ready to help remotely and on-site 24x7. There is no better way to show how humans depend on machines but on office network example. Even kids know that it isn’t possible to manage today’s business without a network. Both management and employees literally depend on office network – email server, VPN, routers, WiFi, VoIP phones, firewalls, and switches. File sharing, email sending, complete communication with team members and anyone outside the organization, printing documents, the list can be endless indeed, goes thru office computer network. But what kind of computer network small business needs? The answer is simple – fast, secure and reliable ! Though the answer is simple, planning and implementation of office networking can be hard and tricky. Luckily, we are here to help you out. * Read below more about every service. We are Microsoft, Dell, Cisco, and VMW authorized vendor and partner for more than 10 years. This means you are guaranteed the lowest prices for all network hardware like routers and firewalls. You may ask yourself how we achieve to design and implement cost-effective, issue-free, network that works without glitches for every client? This is how. • By utilizing the best IT network equipment – Microsoft, Dell, Cisco, Lenovo, and VMWare. We are the official partner and authorized seller for these brands. This means you will save huge buying equipment at unbeatable prices. • Proactive network monitoring – on-site and remotely. Our technicians will install monitoring tools and follow data flow and other important metrics – daily! • Special focus on network security – if virus, spam, and malware can easily spread on the network, then what is the point? Anti-virus and spam protection needs to be at the highest level and protect all laptops, desktops, tablets, and printers connected to the network. Using proven anti-virus tools (Bitdefender) and firewalls (Cisco and VMWare) we’ll make your office network solid as a rock. • Simple to follow & maintain - Every cable has to be in its place. No matter if it is on the wall or going thru the floor below office desks. No one likes the mess in his office! We don’t need to mention tidiness of network equipment like routers, switches, bridges, and modems. • Disaster recovery (DR) plan – to assure your business continuity we created a plan in the case of an emergency. The plan contains procedures and roles to follow in case of data and connectivity loss. It is tested and periodically reviewed by our senior network administrators. The plan will make sure that network will work as before disaster. • Documentation – Our team creates thorough documentation of your whole computer network. We took pictures of every piece of an equipment, their place and position in the system and make a detailed draw of your network configuration. This way we can easily locate the potential problem and fix in a moment. We rarely need to fix anything, a common situation is to add new equipment or user to the network. As you can see a lot of work has to be done to figure out the best configuration for small office network with one server. And all this has to fit limited budgets of small businesses. For large networks in mid-sized companies design and network management can involve few more steps like a plan for future growth and business continuity plan. Yes, it is possible to build fast, reliable and easy to maintain business network, without breaking the bank. Contact us below to see how. That fact is that due budget-cuts and savings on every corner many businesses, regarding their size, switched to VoIP (voice over Internet protocol) phone systems (Internet telephony). And the reasons for this are enormous. These are some of many that deserve to be mentioned. • It will save you money. A lot of money! Communication goes thru the Internet network (in digital form). And you are already paying your connection to your ISP. Just think about how much you will save only when calling business partner over seas. • Flexibility and easy to scale; Super easy ability to add new components and users. 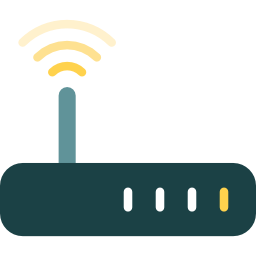 • Mobility; You can use VoIP wherever you have an active Internet connection. Just log in to your VoIP software on your laptop or smartphone and make phone calls or attend meetings in any part of the world without physical presence. • Advanced options & multi-functionality: conference call, call forwarding, video calls, voice recording, voicemail, instant messaging, virtual receptionist are offered by all VoIP providers in California. See why it makes sense to switch to Internet telephony? All said above will increase productivity. Isn’t that something that every business owner wants? 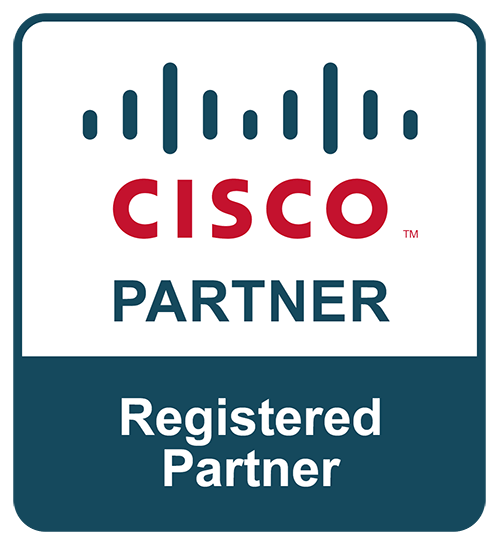 We are more than 15 years the proud partner of CISCO telephony. Being one of the world’s largest manufacturer of VoIP phones CISCO sets standards in the communication field. Our partnership guarantees the lowest prices for communication hardware and equipment available here in San Diego County. If you have one or few employees who work from their location, not company’s HQ you definitely need to consider setting up a virtual private network (VPN). Even if your all employees are stationed at your premises VPN will straighten your network security, privacy and protect valuable business data. As many time before, privacy is a priority! What is VPN and how it works? By adding one or more security layers to your public business network you can create a more secure network for your company. This means that data within your network is encrypted and stays private for anyone outside the network. VPN is possible to access remotely from every location if you have the right credentials of course. This way you or your employees can share company’s resources like printing document, file sharing, etc. regardless of their location. • By using your own Windows Server capabilities – Mostly versions of Windows Servers offer the VPN feature. Setup can be lengthy, but it does offer the greatest encryption and speeds around (SSTP certificate-based VPN). Before you decide to set up VPN you need to have a static IP address for your Internet connection. Even home users start to realize the importance of VPN. This is the right moment to secure business network infrastructure. 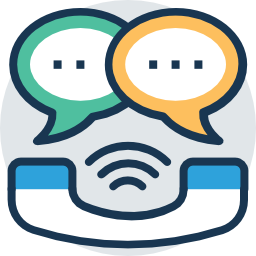 Contact us below and we’ll easily show you the benefits of virtual private networks for business. Small and medium-sized businesses were many times under heavy hacking attacks. Treats have evolved, hackers got even smarter using social engineering along with cyber techniques to get valuable data about your clients. A business network that does not use firewalls and routers can easily face data loss. Unfortunately, most recent studies have shown that many small business owners are not aware how important network security is. Don’t be one of them! We recommend: Ever since Dells acquisition of SonicWALL, they have become one of the strongest competitors on the firewall market. Having a near perfect firewall of immense capabilities and that is extremely reliable, they are hard to overlook when the question arises. They offer a wide range of firewall, from Small Office Home Office kinds, all the way to datacenter enterprise grade on costing tens of thousands. This type of firewall is all about the modules. Adding many different modules you can increase its capabilities and secure your network even further. For example, if you have your own email server you can add the anti-spam module to stop malicious emails from entering your network. You would like to stop the viruses or malware from entering your network? No problem, there is module that will stop any malicious software from entering your network within the firewall. Basically, it will never reach your device. These are just a fraction of modules that SonicWALL offers. We use latest from Cisco and Dell will find best small business firewall and router that are capable to protect your network for good and configure complete networking solution to make your business rock solid. But the story doesn’t end here. We’ll continue with proactive network monitoring for the even better network reliability. As our name suggests - Secure Networks, we are obsessed with network security. Your network is 101% safe because we deliver custom and client-focused solution to keep your online privacy untouched. 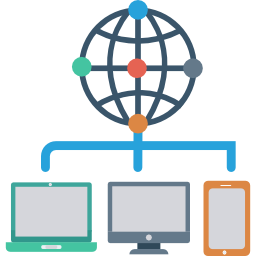 Another service we offer as a part of computer network support is virtualization. What is virtualization after all? Virtualization in computing is a process of making or creating a virtual version of something in order to manage workload. A most common form of virtualization is operating system virtualization. It allows one computer to run multiple different OS. Today it is possible to have virtual data, operating system, memory, storage, virtual networks, virtual servers and virtual desktop environment. Every one of them brings some level of complexity but also have clear advantages. Business benefits of virtualization are cost saving, flexibility, scalability, better workload, minimal or non-existing downtimes and fast disaster recovery are just some worth mentioning. Deploying virtualization technology calls for a lot of careful planning and knowledge. Of course, to avoid issues and low performance of virtual servers or desktops virtualization needs to be done by senior IT experts. Our company has the right people for the job. Secure Networks ITC is an official partner of VMWare – pioneer and world’s leading company in cloud computing, virtualization platform, digital transformation and digital workspace. • Desktop virtualization (client virtualization); Allows you can have ONE simulated desktop environment on many physical machines. All environments are managed by one administrator. Because of centralized management, improved security, time management and energy saving this is the most popular type of virtualization among small and medium businesses. • Server virtualization; In order to improve and optimize workload of the server we’ll, using a virtualization software, make several virtual servers by partitioning your physical server. Every virtual server can run different operating system and applications. • Network virtualization: One of the key components of network virtualization is Virtual Private Network. 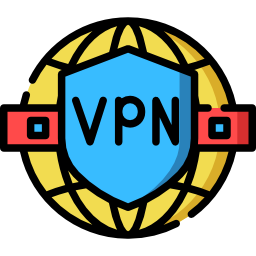 VPN is a method used to combine many different physically separated networks into a single virtual network, thus allowing free communication between devices as if they were connected to the same network. But that is not the only type of network virtualization. By using the method of virtualization, NAS drives could be turned into a regular drive appearing to be directly attached to a server or computer, while clearly being connected to a network. Virtualization and everything around this technology may sound confusing and hard to understand, but our network engineers have more than a decade of experience. We make it easy like Sunday morning! Contact us below if you have any questions and our friendly staff will explain in detail virtualization benefits for business you run. 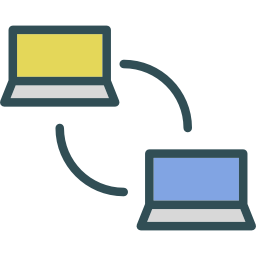 If you want to remotely access your business network, securely of course, and be able to use documents and files or send and receive emails the same way you do while in office, you need to have one of Remote access solutions. •	Using third-party remote access software like LogMeIn, Team Viewer, GoToMyPC, Remote Connect, Remote Desktop (Windows native application), or even Google Chrome browser. 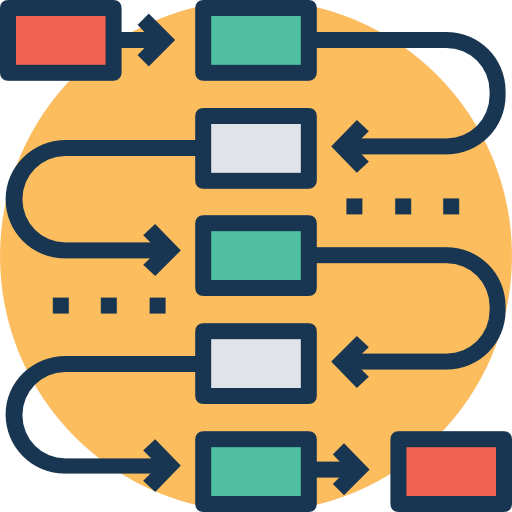 All software solutions are very similar, but implementation depends a lot on a number of computers connected to the network. Remote access programs allow the user to connect to a machine located in office only if it is powered on and has an active Internet connection. 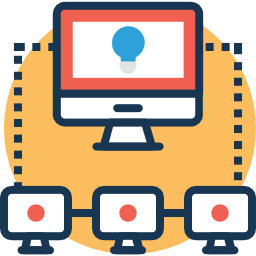 After a thorough assessment of your networking needs our consulting team will propose the optimal remote access solution for your small business. With constant changing in rental prices on the commercial real-estate market, businesses very often relocate their HQ. This means they have to relocate their computer equipment and IT assets as well. •	Cabling, patch panels, and other cable and wire management. Before migration of your IT equipment, our team of engineers will evaluate and plan a proper position for the server room, ventilation, additional power supply, calculate WiFi network coverage in your new office, evaluate position for UPS units, determine best positions to place security cameras and security room. After office relocation we’ll test network connectivity and make sure server and other IT hardware is working as before; and even better. Don’t worry, office relocation can be fun sometimes.